A year before my births Adolph Hitler assumed power in Germany and the Nazi state and war machine established. Three years earlier the Japanese invaded Manchuria and began their campaign to dominate Asia. Because of all that, I have a difficult time remembering when I did not live in a time of war. I do not mean to suggest that my life has been shattered by war; that is, I have not suffered bombings of my home or deprivations of livelihood. Nonetheless, I have lived in perilous times. For example, one day my mother sat me on a cold radiator one September morning in 1939 to watch her while she ironed and for some reason she told me the Germans had invaded Poland. I was five years old. That moment sticks in my memory as if it were yesterday. However, the only word I apparently understood scared me; the word “war” meant danger. How I knew about the danger of war is beyond my understanding; I just did. I listened to the radio a lot and heard Big Ben chime as I ate lunch and heard the announcer say, “This is London calling.” After the London news I listened with my mother to Kate Smith’s topical program in which she discussed events around the world. The radio so attracted me I wanted to be a radio announcer. I crawled behind our radio console and pretended to be a news announcer and said, “The German’s attacked Poland.” Not certain how a radio worked, I knew only the sound came from behind a very attractive piece of furniture. To say I understood any of this is to give me more credit than five-year old deserves. Nevertheless, the dangers of war and the war’s imminence impacted my pre-pubescent brain. The night after my mother reported about the Germans invading Poland I awoke in a panic. In a nightmare I thought German soldiers were marching on my street outside of my house. I could hear the beat of their cadence in my ear. That turned out to be the beat of my heart; the heart of a frightened little boy. The following year my parents took me to see newsreels of the London Blitz, which remains firmly established in the creases of my brain as horrific pictures of burning buildings collapsing, injured people being led through the fiery holocaust of falling and scattered debris. 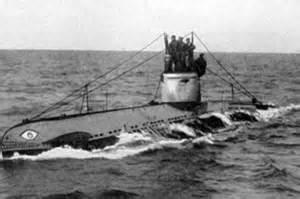 Nazi U-Boats were active along the East Coast of the U.S. and sometimes were known to be in the Chesapeake Bay. submarines threatening my town and coming up the bay to sink ships right off the docks where we lived (however, I cannot recall if this ever happened). I have a memory of my father leaving us for the Pacific and not returning for several years. This meant my mother was the responsible agent of the family that included my brother and two sisters. Frozen Orange Juice was one of the new-fangled things that appeared in the grocery stores after World War II. like our daddies did. The good life included having new appliances, a new car, and best of all frozen orange juice. The North Korean Communists charged across the thirty-eighth parallel of that peninsula as I completed my first year of high school. Early the following year I could wait no longer to be a part of the war culture. I went to the local Army National Guard and enlisted. My father found out within a few days and gathered me up and all the army gear that had been issued to me. He dumped me and the gear in front of the enlisting sergeant’s desk. The War in Korea–Had my father not intervened, I would have gone to Korea as an underage soldier of he 5oth Infantry Division. On discharge from the Marine Corps my life’s path took me to college. 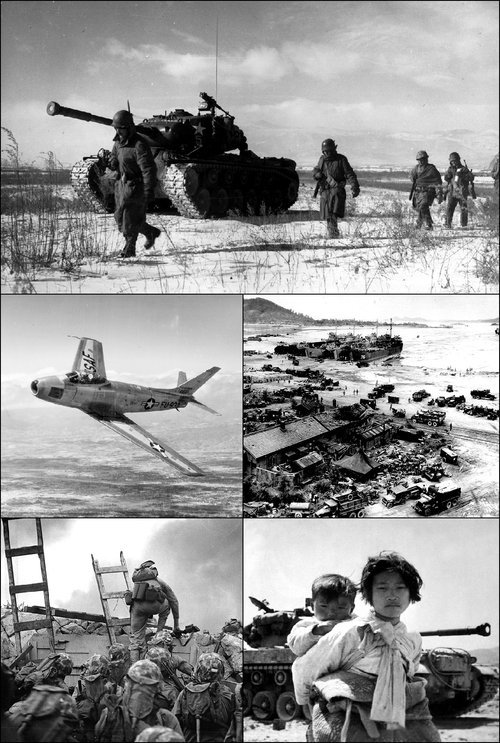 The Korean conflict, by this time is at a permanent stalemate, and as far as I am concerned it is in my past. However, I cannot stay away from war; it is in my blood. Had not I been born into the midst of conflict? Besides, every male over seventeen in America had an obligation to face the enemy, whoever and whatever it was. Therefore, every man at the university enrolled in military training. I did not need to; I had my military training behind me. Nevertheless, I enrolled in what is euphemistically called “military science” to earn a commission and to obligate myself further to war. For the next nineteen years of Army life the “cold war” went on. The Berlin wall went up, Soviet, East German, and other armies faced west while the allies of World War II faced east. During this ugly history other wars went on including the Dominican Republic Invasion and the war in Việt Nam. Besides the open conflicts and threats of nuclear annihilation, covert wars went on. These covert wars no one talked about but people killed people in places like Laos and probably Cambodia. Several years after I left military service a certificate arrived from the U.S. Department of Defense thanking me for my service during the Cold War Era. To be thanked is always a good thing. No medal or decoration came with the certificate, but I had no need for another medal. I had four personal decorations, ribbons for service in Korea and Việt Nam, other recognitions of service, including six campaign stars on a Việt Nam service ribbon. Medals and service ribbons make little difference in the narrative of life, so another had no use and besides I no longer wore a uniform on which to pin medals and ribbons. Now at last, I thought, the Cold War is over. Russia and America will find a way to be friendly; we can disband armies, close down missile silos, get rid of nuclear war heads, and finally live in peace. Eventually, I naively believed, there would be no need for the Veterans Administration; there will be only monuments to veterans. As you know by now that pipe dream went out the window, or whatever other opening there is, when Arab Islamic extremist flew crowded passenger jets into the World Trade Center towers and Pentagon on September, 11, 2011. “It’s war!” the powers that be shouted. The need we have for an enemy materialized right before us and we could be ourselves again; virile and pure. But, what do we do? We attack the wrong the country. Thousands upon thousands of people die and our resources are drained. Not only do we have a war in the wrong place but we still have not gotten the SOBs who did that terrible thing to us. A decade later we begin to believe that maybe we can bring all this to an end and put all our efforts into rebuilding our own country. But the need for endless war has not been satiated and we go on and on sacrificing our youth like the trying to placate angry gods and draining our resources. The result: Jself-imposed spiritual and material poverty. We have learned our lesson. No more wars. We have done enough. This is a new century. We do not need to be the world’s savior or police. Enough is enough. Then, all of a sudden, we find a new war to fight. The powers that be are thrilled they will have more money shoveled out to them from the Defense Department. It is more of everything to do with war; more for the people who own the machines of war or make them and more reason to keep a large military force in place. After all, those kids who cannot find a job out of high school or college can always depend on a few years in Korea, Iraq, Afghanistan, and now Libya; or, maybe Iran. I suppose now that there will never be a day without war somewhere. But war can be a good thing. Remember, war brought DDT, radar, rockets to the moon, and best of all frozen orange juice. I finished reading “Frozen Orange Juice.” Our love affair with matters of war are sobering. And what about our internal wars involving our citizens. Those wars have been race, gender, poverty,immigration, class– need I go further. Our tendency to fight, not just with our demonized foes, but also with our very society is most frightening!